There is a concept in Jewish Law that can have both positive and negative outcomes. Pirkei Avot (The Ethics of the Sages) opens with the idea to "erect a fence around the Torah" ("asu s'yag laTorah"). This metaphorical fence is intended to protect the Jewish people from even coming close to sin or violating a commandment. Oftentimes, however, this fence can be "erected" too far from the original intent of the law. I see this all the time in matters of Kosher certification. One of my rabbinic colleagues tells the story of a Haredi man in Jerusalem who claims there are only three Kosher restaurants in Jerusalem. In actuality there are hundreds, however, this man's fence is so far from the actual laws of Kashrut that he has self-limited himself to only a few establishments that meet his rigorous standards. A couple years ago it was announced that the Ultra-Orthodox were forbidden from using the Internet - a fence erected to ensure they don't deter into some unacceptable sites. An article in New Jersey Star Ledger referred to a man who relied on the Internet from his business, yet was still going to pull the plug because if he didn't his children faced suspension or expulsion from their yeshivah. In today's Ynet News, we now learn that it is not just the Internet that is banned in the Orthodox community. 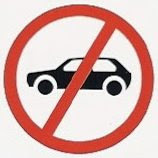 Driving cars or even getting a driver's license are now outlawed as well! Yeshivah students will be expelled if they get a driver's license. Fortunately, one of the expelled students was later readmitted after the rabbis at the yeshivah learned that he got the license to help his crippled father. Four students were expelled from the Tiferet Israel yeshiva in Jerusalem last week after it became known that they had obtained driver's licenses in violation of the yeshiva's rules. After learning that some of their students might have taken driving lessons, the yeshiva heads conducted a thorough investigation and even contacted the Transportation Ministry on the matter. "Anyone can call the Transportation Ministry, give an ID number and inquire whether that person owns a driver's license," one of the students explained. Following the inquiry, the yeshiva heads convened to discuss the "problematic phenomenon" and eventually decided to immediately expel any student who is in possession of a license. The rabbis told the students that they could be readmitted once they have their license revoked. Most ultra-Orthodox rabbis oppose the notion of a haredi person getting a license. "It's inappropriate for a person who defines himself learned in the Torah to have a driver's license," a prominent rabbi told the yeshiva director when the latter came to consult him on the issue. The Tiferet Israel yeshivah may not allow their students to drive cars, but they do have a nice website. Too bad no potential students will be allowed Internet access to see it! >The Tiferet Israel yeshivah may not allow their students to drive cars, but they do have a nice website. Too bad no potential students will be allowed Internet access to see it! You can't possibly believe the yeshiva web site you linked to is the same yeshiva in that article. With a name like that, there are probably 20 yeshivot named Tiferet Yisrael. The one the article is talking about wouldn't know a web site from a spider web.